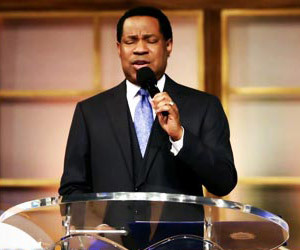 Pastor Chris at the New Year Eve service. 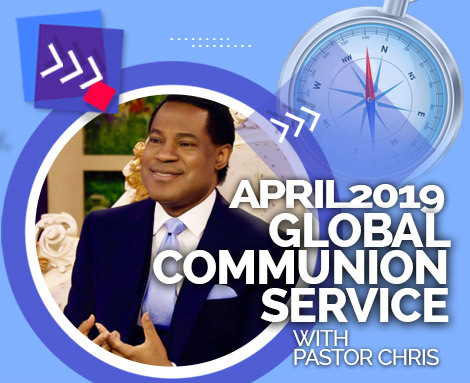 Global congregation connects to December 31st Service with Pastor Chris as the man of God ushers millions of global congregants into an unprecedented season of the supernatural! 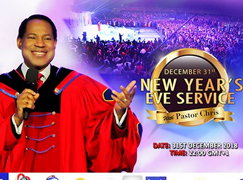 Heaven was at attention as millions of people around the world plugged in via satellite TV stations, terrestrial stations and the Internet to the December 31st New Year's Eve Service with the man of God, Reverend (Dr.) Chris Oyakhilome. 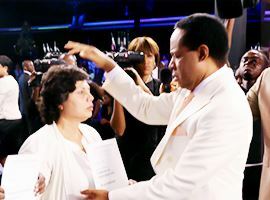 The event was undoubtedly the most attended and awaited event in all of the world. 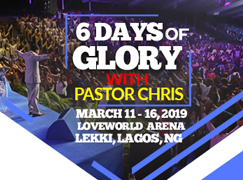 Through an impactful talkshow with esteemed Zonal Pastors, thousands present at the LoveWorld Convocation Arena and various auditoria around the world have learned how to receive the word for the year and fly successfully on the wings of that word till the year's end. 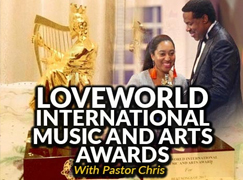 Pastor Chris and LoveWorld Music All-Stars Wish You a ‘Happy New Year’!. 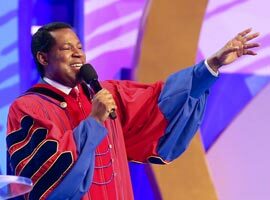 “2018 is the Year of the Supernatural!” — Pastor Chris Oyakhilome. 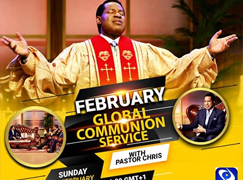 Pastor Chris Prays for Your Family Tomorrow at the Global Communion Service. 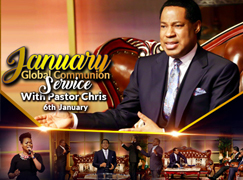 The moment that millions of participants, watching via satellite and terrestrial TV stations and the Internet, had been waiting for arrived, with the BLW President, Reverend (Dr.) Chris Oyakhilome, declaring the word of the Spirit for 2018 — 'the Year of the Supernatural'! 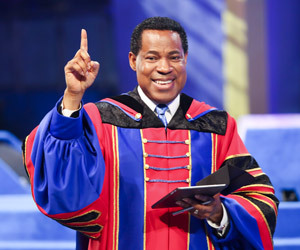 The man of God, Pastor Chris, began unveiling the new year in stages of revelation, beginning at a definition of 'blessing', which he instructed the global audience to commit to memory; "to bless," he said, "is to cause to prosper, to favor, to evoke successful outcomes, to infuse with divine abilities." 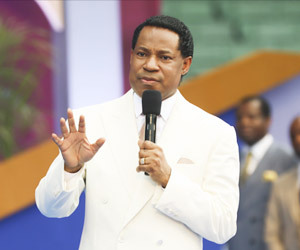 The BLW President further expatiated on the heart of the Spirit for us in this glorious year, listing seven areas through which the message of the year will be witnessed: supernatural supply; supernatural strength; supernatural abilities; supernatural insight; supernatural wisdom; supernatural knowledge; and, supernatural health! 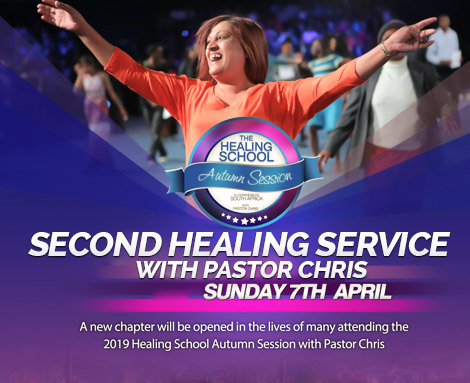 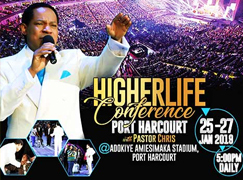 Speaking prophetically, Pastor Chris said "there’s an intervention from the Heavens; angels are ministering, and the Lord Himself is taking center stage!" 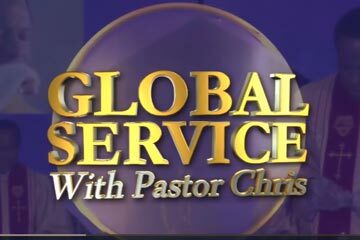 "You’re going to see the unexpected. 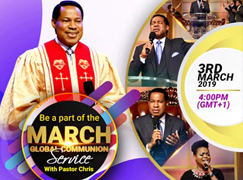 You’re about to see the unimaginable," he continued to declare in the Spirit. 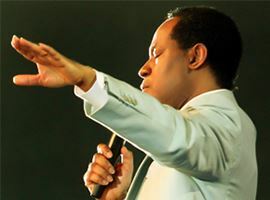 "You’re going to see the unexpected; you’re about to see the unimaginable," the man of God, Pastor Chris, announced as he qualified the message of the Holy Spirit to His church for 2018, 'the Year of the Supernatural'! 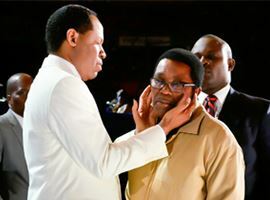 Hearts of congregants swelled with anticipation and faith with every word, as the BLW President took us on a journey from Leviticus Chapter 25 through several scriptures to John 7:37-38. 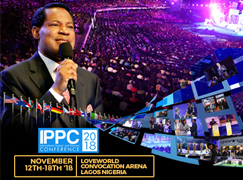 Each person watched from churches and fellowships and via LoveWorld stations, terrestrial networks, the Pastor Chris Online website, CeFLIX and other platforms, eagerly anticipating the word for the year. 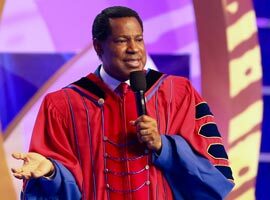 The response from participants in the Global New Year's Eve Service with Pastor Chris was unanimous and rousing, as the people jumped up, shouted, spoke in tongues and congratulated one another, convinced that the year has been sealed in glory. 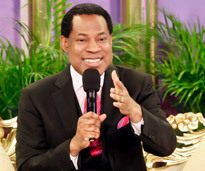 "You’re about to see the ministry of the Holy Ghost like never before," Pastor Chris assured the congregants. 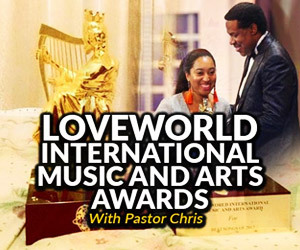 Watch the moments again in the featured video, and remember to like, comment and bless others by sharing on all social media platforms. 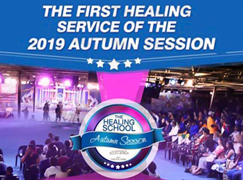 Congratulations again, and welcome to supernatural supply, strength, abilities, insight, wisdom, knowledge and health like you never experienced before! 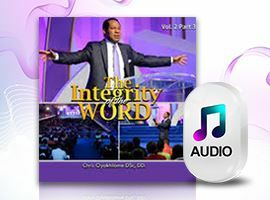 Get a copy of the New Year Message to meditate upon and distribute from the Pastor Chris Digital Library app. 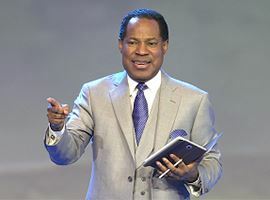 The New Year Message, titled 'the Year of the Supernatural', is now available in audio format for download and streaming on the Pastor Chris Digital Library app. 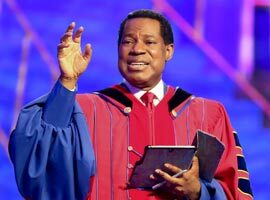 At the December 31st program, the man of God, Pastor Chris, said "the year means nothing without the Word of God; God’s Word is your light, your direction, your instruction." 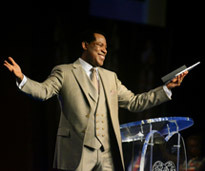 As such, there's no better time to start listening to and getting immersed in the message of the year. 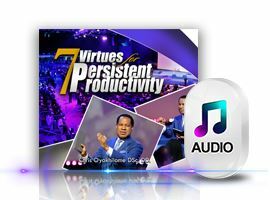 Download the Pastor Chris Digital Library app on the iOS App Store or the Google Play Store to access the new release or simply visit the PCDL website here: http://pcdl.co/. 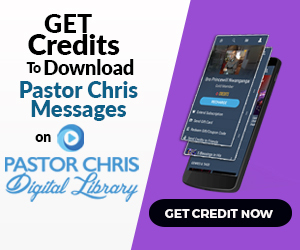 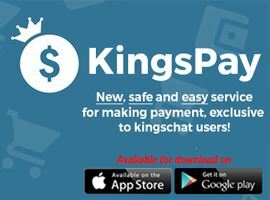 With an active PCDL GOLD membership subscription, you can access the New Year Message and over 300 old and new titles on the Pastor Chris Digital Library app; when new messages and titles are released, you also already have unlimited access to them. 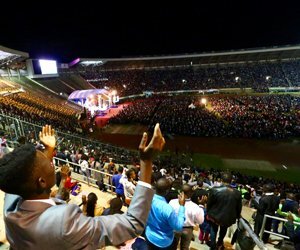 "The time to favor Zion, the set time has come. 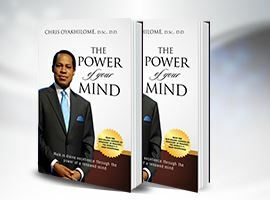 There is a set time; when that set time comes, everything starts working together," the BLW President prophesied in the early hours of this morning. 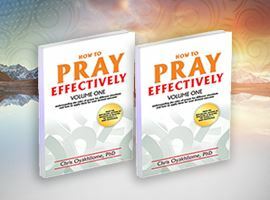 Get in the flow of this and other prophetic utterances by downloading your copy of the 'Year of the Supernatural' message now!